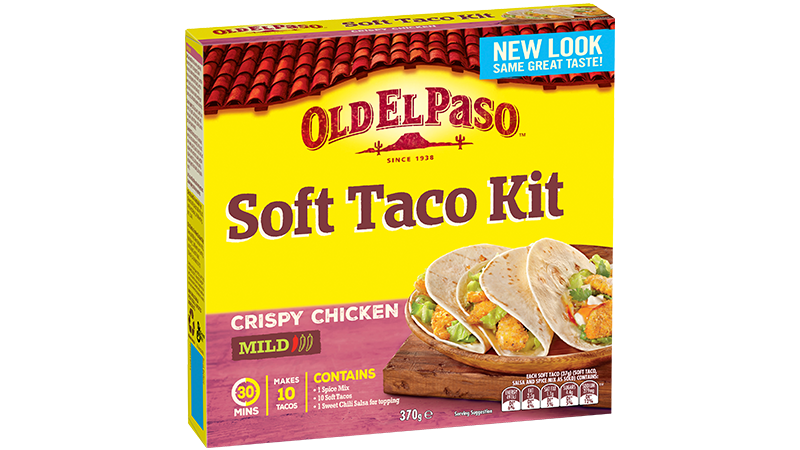 This delicious Old El Paso™ recipe serves 4 people and is made with our Crispy Chicken Soft Taco Kit. 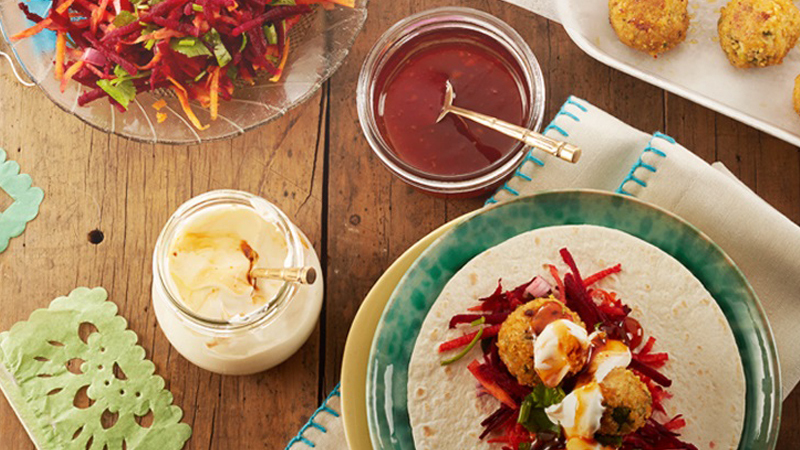 Tasty crispy chicken balls and rainbow slaw combine for a twist on authentic Mexican Soft Tacos. Ingredients like grated zucchini, coriander, sour cream and Sweet Chilli Taco Sauce make this meal a family favourite! Preheat oven 220°C (200°C fan forced). In a medium mixing bowl combine mince, zucchini and half the bunch of coriander. Roll tablespoons full of mixture into balls, with your hands. Coat balls with Crispy Chicken Spice Mix. Place balls in a single layer on baking paper lined tray. Spray with cooking oil. Bake for 20 minutes or until golden. To make rainbow slaw, combine beetroot, onion, carrot and remaining coriander. For warm Soft Tacos, open Soft Taco pouch, discard Freshness Sachet. Microwave Soft Tacos in pouch on HIGH/1100 watts/100% power for 35 seconds* or remove from pouch, wrap in foil & heat in oven at 180ºC for 10 minutes. *Times may vary depending on microwave wattage. Decrease time for fewer Soft Tacos. Increase time when using a microwave oven lower than 1100 watts. Build your own Soft Tacos with chicken balls, rainbow slaw, sour cream and Sweet Chilli Taco Sauce.